A career in the arts has always appealed to Savannah. With inspiration from Frankenstein, The Wolf Man and Jurassic Park, Wildside FX was born, her own business for which she creates creatures, masks and costumes, through commissions for public and private clients. She was introduced to theatre when she was given the role of Costume and Prop Supervisor as part of a Lind Lane Youth Theatre in her home town of Nambour, which she maintained while completing her high school education. Savannah was accepted for a traineeship straight out of high school into Queensland Theatre Companyʼs wardrobe department. She was later asked to stay on as an apprentice for a further two years to learn the ins-and-outs of the costume department, where she worked closely with the Head of Wardrobe on all shows over a three-year period. A few of her favourites include Romeo and Juliet, Macbeth and Trollop. 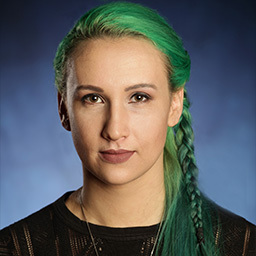 Savannahʼs eagerness to learn the arts of creature effects, puppetry and materials have led her to secure work placement after NIDA with Creature Technology Company and Cirque du Soleil. She hopes to continue furthering her knowledge within these areas to build a successful career. Chris lived for the first 14 years of his life in the North of England before moving to Perth, Western Australia. 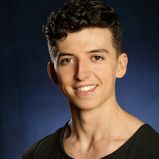 The theatre culture he encountered at his new high school nurtured Chris’ talents, where he achieved the junior drama award, the Glenn Hitchcock Drama prize and gained the role of Captain of Drama.